Góðan dag! 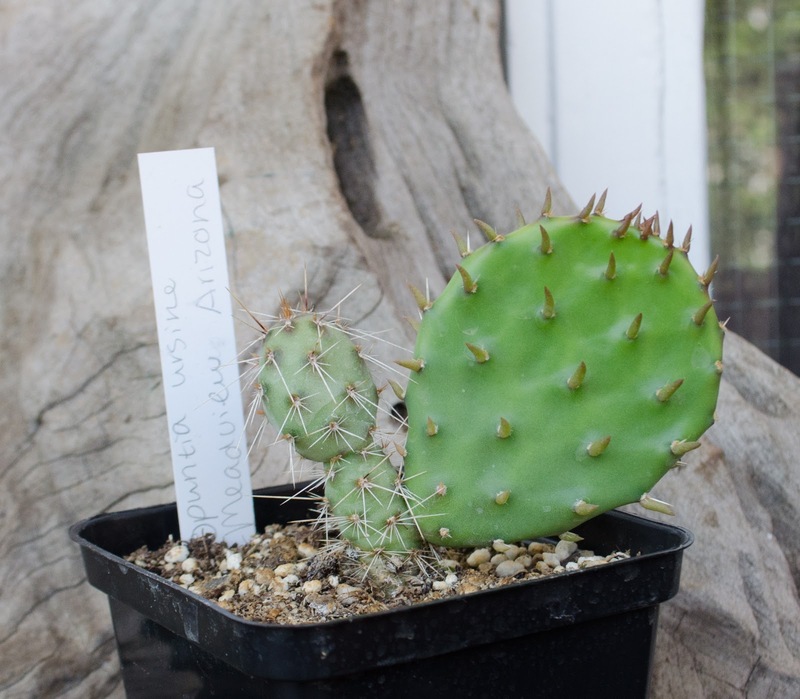 Today's post is all about new additions to my cactus & other succulent collection and about the day trip to the Ubink Cactus & Succulent nursery with my two-year-old son. 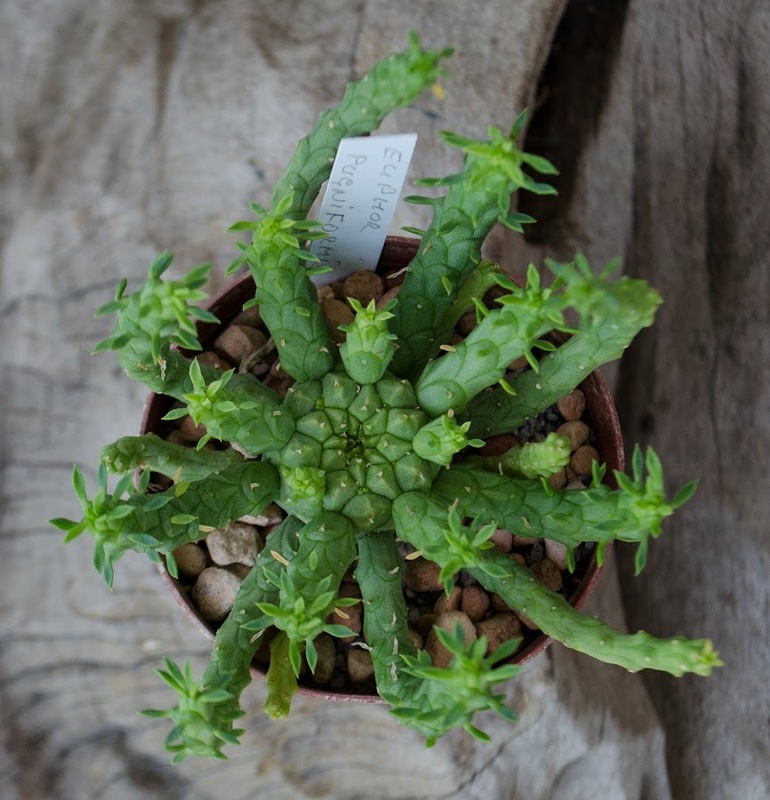 Each year, there's an event called 'Cactus & Vetplantendag' at Ubink's, which means: 'Cactus and Succulent day'. This was my second time and my son's first (!). I already knew that I wouldn't be able to take a lot of pics this time, other than the ones of Arthur running around in this gigantic greenhouse and a video where he disappears in a group of 4 meter high cereuses. I haven't taken any pics, so I'm going to describe the place with words and then show you some photos of my purchases. What can I say about the nursery? It's a really big greenhouse that covers over 60.000 square meters and it's filled with succulent plants. 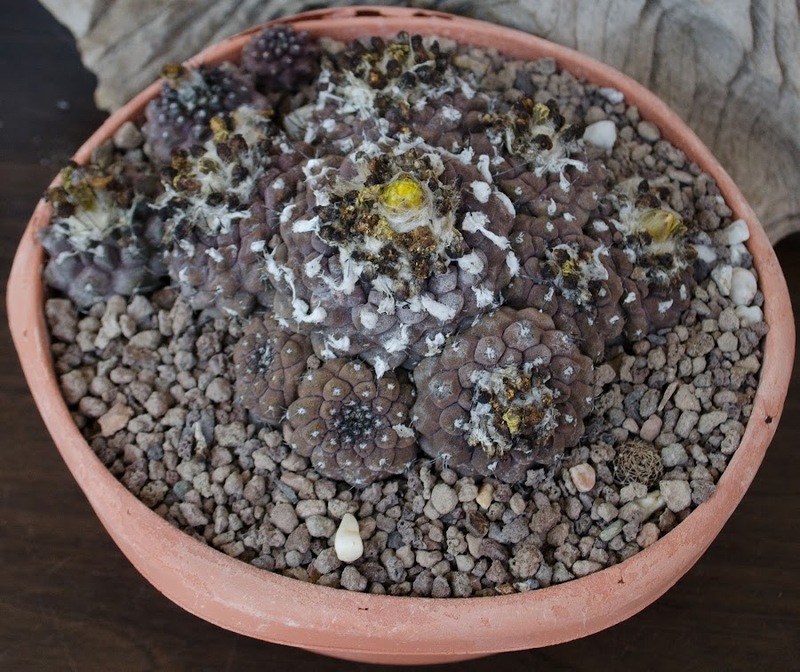 Once a year it's open for hobbyists, who are then able to buy plants for a very decent price. You probably can imagine that I felt like a kid in a candy store! One part of the greenhouse was reserved for hobby breeders to sell their plants. The perfect place to find pretty and rare species. Man, I loved it over there, but Arthur loved it even more. Totally worth it! Around 12 am we arrived at the nursery. Arthur was really impressed: "Oh! 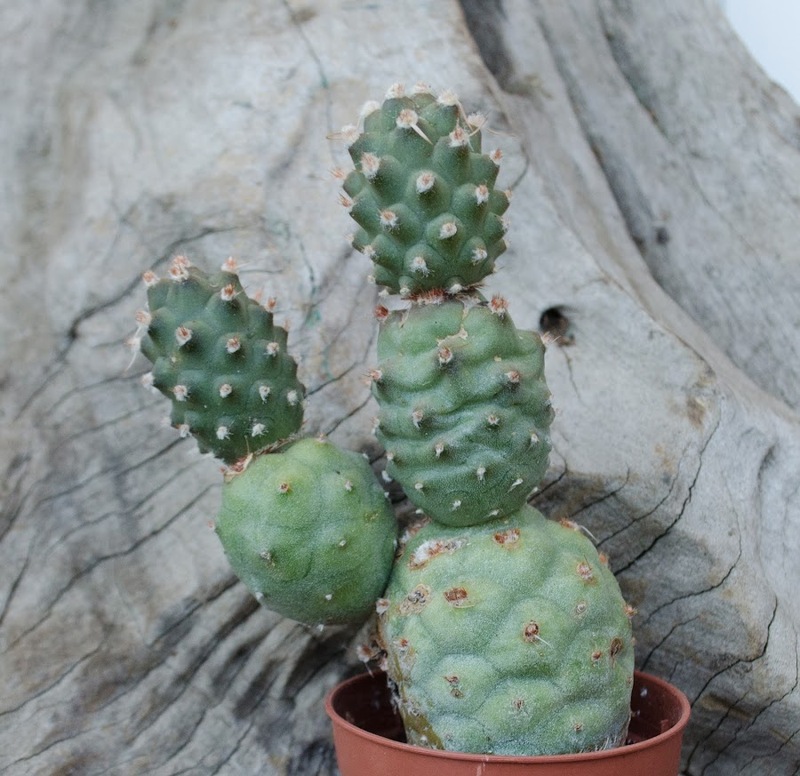 Cactusbeurs! Yes! Look at all those Cactuses!". The entrance was recognizable by a beautiful cactus garden. Inside we were welcomed with some refreshments (coffee and lemonade) before we both went berserk. I'm very aware that it's a bad quality video and I only post it to give you a small impression, so please don't give it anymore thumbs-down on YouTube! I got one thumb down and it has made me sad for at least half a second. ;-) By the way: my son loves this video and always asks me to show it (must be Nino Rota's funny music combined with the turbo mode). What-up?! 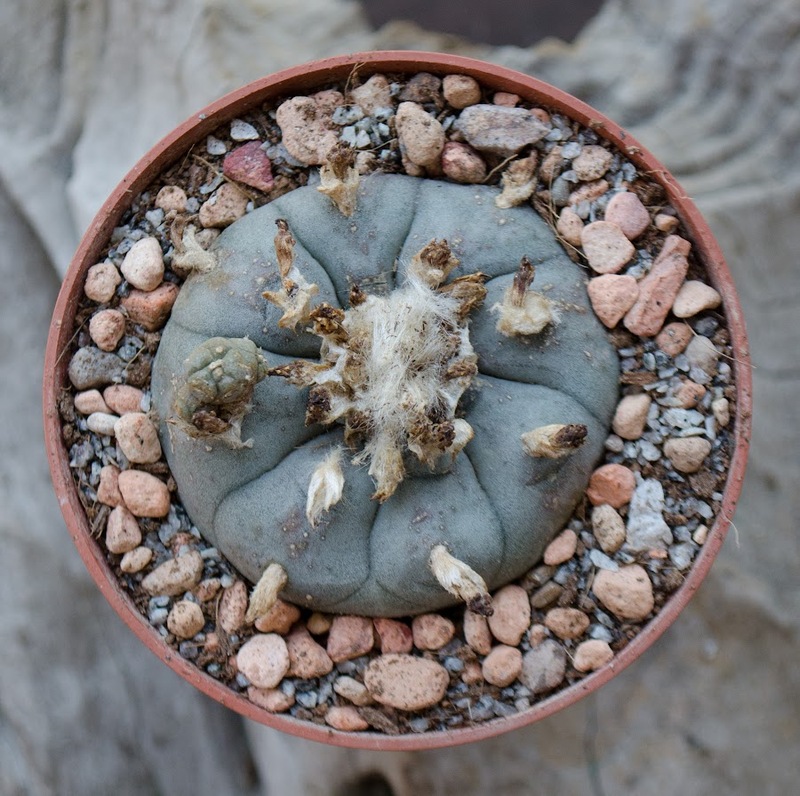 This is now by far (in my opinion) the most beautiful Peyote I own! Flat and almost disappearing in the ground. 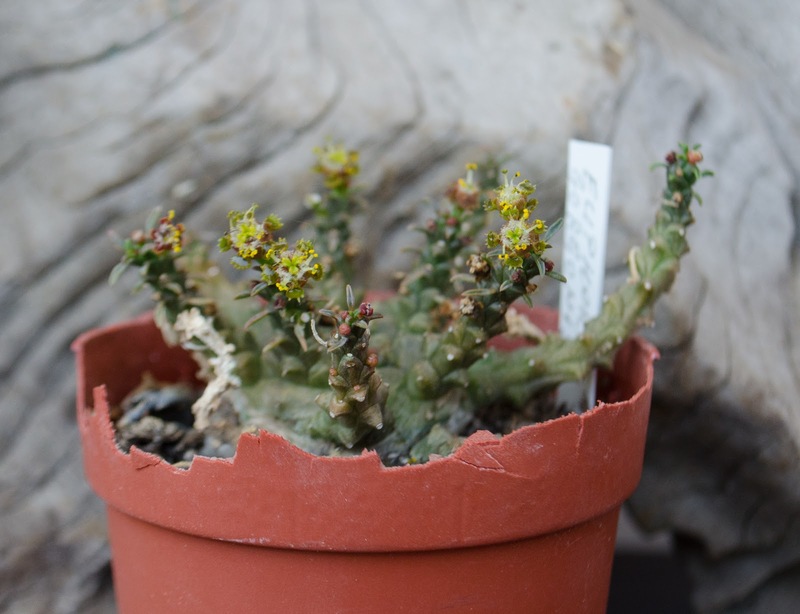 It looks like this plant has been taken from its natural habitat, but it's not! I've bought it from the nursery itself for a very decent price. I can't wait till I spot its first flower! I've sown this species back in 2012, but none of the planted seeds germinated. 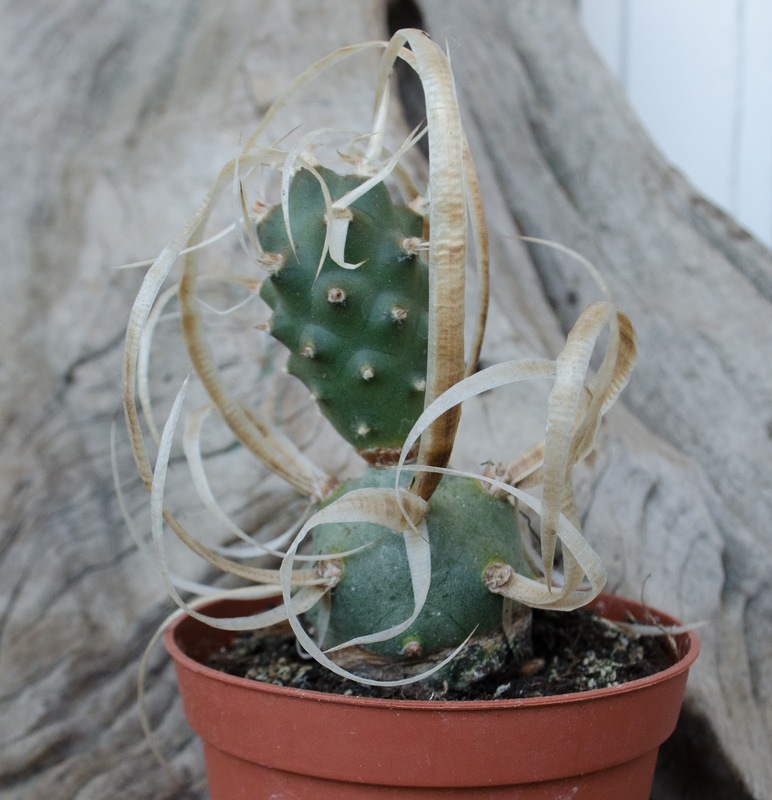 This awkward looking plant was also bought directly from Ubink. The same species as the one named above, but a different variety. T. articulatus var. papyracanthus has, as the name already suggests, paper like spines. 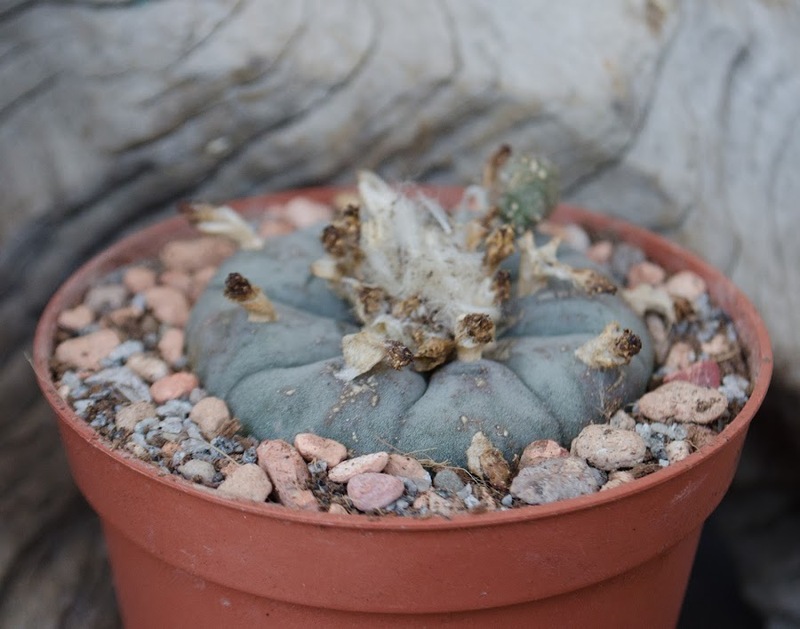 I'm going to study this family a bit more and see how to make Tephrocactus seeds germinate. I've already read multiple advises from putting them in the fridge for a while to scarification of the seeds. Any advice is more than welcome, so please don't hesitate to contact me if you have the golden advice for me. Another variety of this species is already on my wishlist for a couple of years (var. 'lizard skin'), but I couldn't resist buying this plant. The hobbyist, from whom I've bought this beauty, told me that he wouldn't be surprised if this plant is around 30 years old. 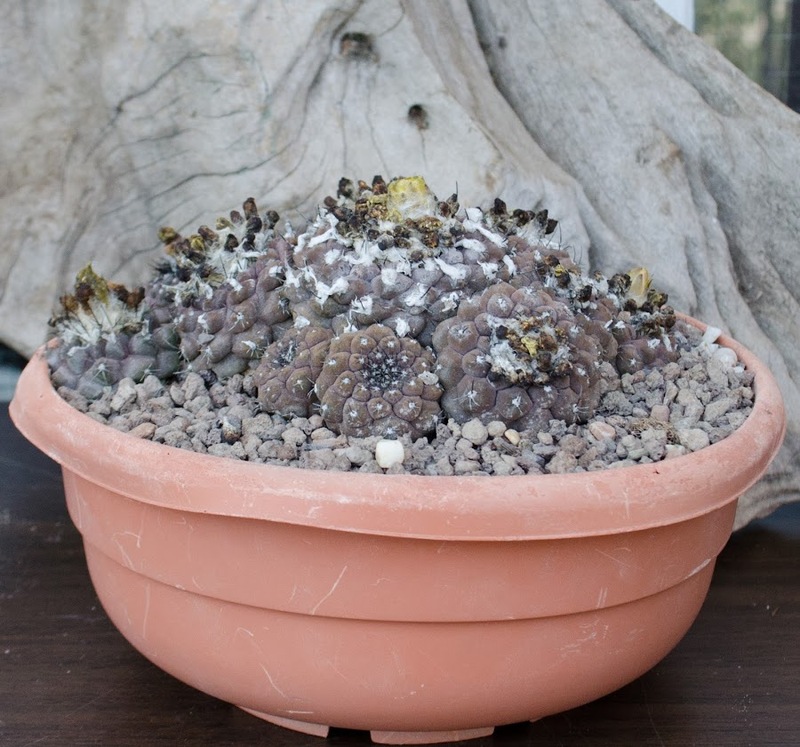 So today I've also obtained the oldest plant of my collection. 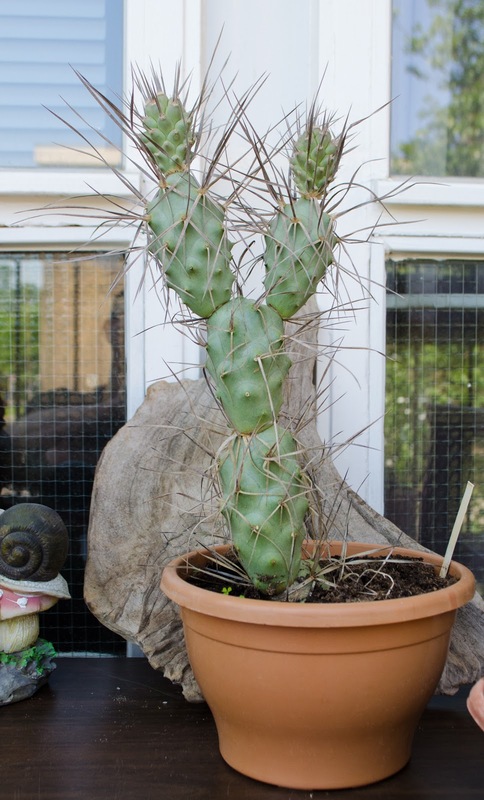 Another winter hardy Opuntia. This tiny plant will grow quite big, the seller told me. And I'll be able to grow this plant outside, even here in the Netherlands. That's about it. This trip the Ubink will be an every year returning event for both of us, because spending quality time with your kid is one of the greatest things there is. I hope that I'll be able to share some photos of flowering plants during the upcoming months.